WHY WAS THE ENSEMBLE IN THE CENTER OF BERLIN DESCRIBED AS A “TOTAL ART WORK”? 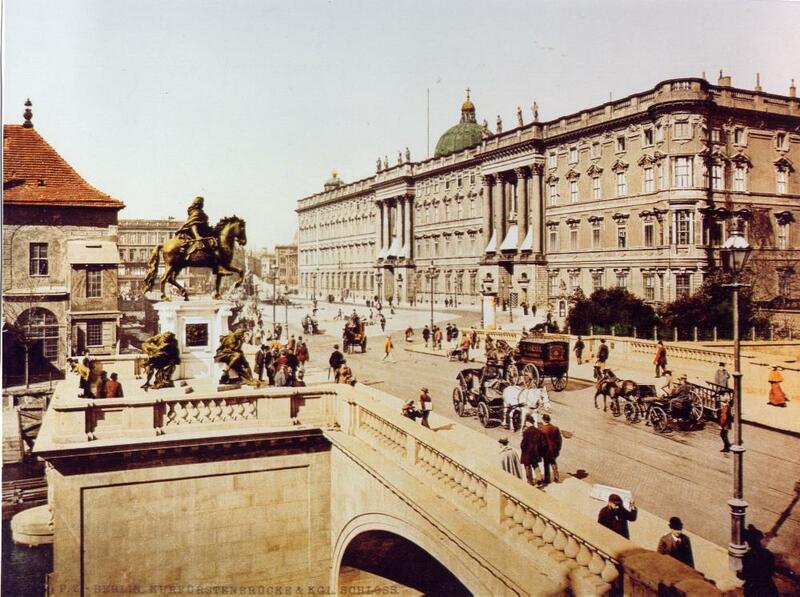 In accordance with the architectural principles of Vitruvius and Palladio, the interaction of the major edifices in the center of Berlin, arising out of the individual buildings from various centuries, created an exciting and yet extraordinarily harmonious ensemble. From left to right, 1. 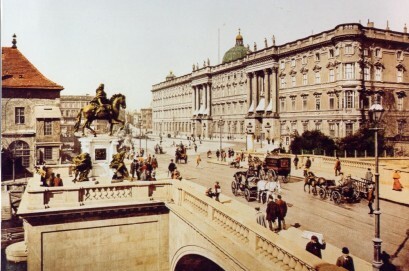 Palace Square with the Great Elector, 1906, 2. Forum Fredericianum, 1905. 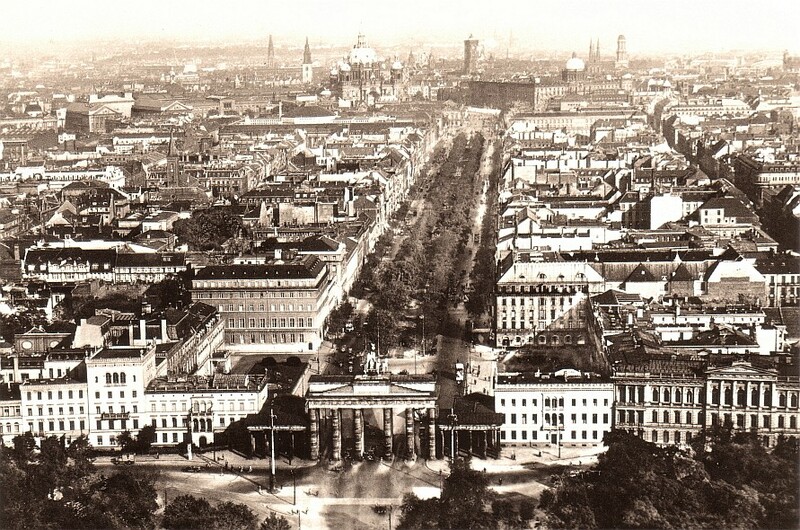 Accordingly, one must be careful that an urban ensemble effect can arise in the historic center of Berlin with a building that again takes account of the old existing communication lines of the present structures, and at the same time is built in a style that harmoniously interprets the historic edifices. Only in this fashion can each of the historic buildings once again regain its original artistic stature.